While in the San Luis Valley, don’t miss exploring the Sanford Museum. It is located on Main Street in the town of Sanford which is east of the town of La Jara on Highway 285 going south from Alamosa. The Museum is open to the public, but it doesn’t have set tour hours at the current time. 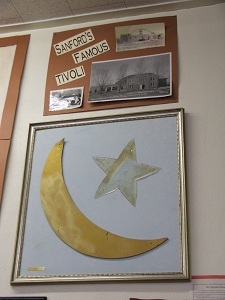 There are three people are available to give a tour of the Sanford Museum. They are Mary Jane at 719-274-5418; Gary at 719-274-4382; and Lynette at 719-274-5755. I called Lynette and arranged a time to meet her at the Museum. Neal and I (Debbie) toured the Sanford Museum. We were very impressed with the exhibits and the well planned layout of the Museum. 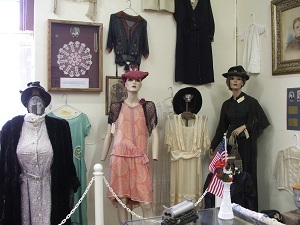 The Museum was divided into four rooms and the entrance. 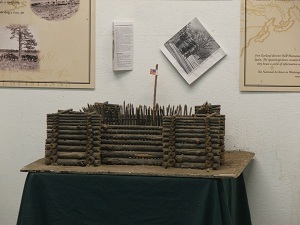 One room had information on Pikes Stockade and the town of La Sauces. Another room had part of the old Sanford gymnasium flooring which was taken out of the school when the new gymnasium was built including various basketball jerseys. 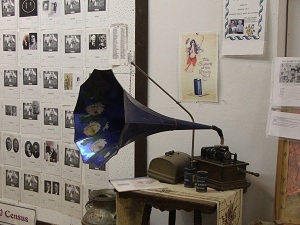 One of the rooms room held antiques and old scrapbooks available for viewing. 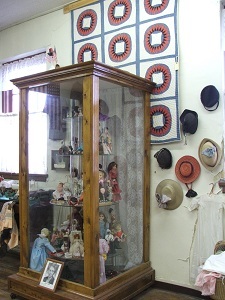 A fourth room was filled with military memorabilia along with a stunning display case containing beautiful dolls. Lynette told us that the doll collection belonged to an unmarried school teacher. She had been given the numerous dolls when young Mormon missionaries returned from their mission trips to foreign countries and would bring her back a doll. One of the most interesting photos and information to me was a dome building called a Tivoli. This structure held a bowling alley and a dance hall. What made it so unique were the springs which were under the floor which gave the floor the ability to move up and down. There are the actual springs in the Museum along with pictures of the Tivoli. The military display area was a wonderful tribute to the many who have served our country including books which have been compiled with memories of young men and women of the Sanford area who have served in the military. 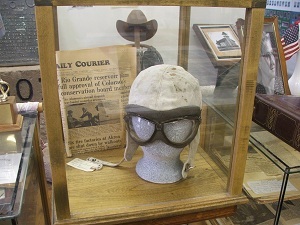 One display held an old pilot’s hat and information about the first landing strip. It was noted that in about 1933 two gentlemen met with the town board to discuss the possibility of securing land for an airport. An airstrip was built along with a hanger. These facilities were used later for a direct airmail route from the San Luis Valley to Pueblo. Lynette was an excellent tour guide and very knowledgeable about the Museum and the Sanford area. The town of Sanford was originally named “Alma” in honor of Thomas Alma Crowther. It was later discovered that the State of Colorado already had a town by the name of Alma so it was changed to Sanford in honor of Silas Sanford Smith. The townsite was surveyed in 1885 and three dwellings were built that fall and the next spring. Peter Mortensen built the first house on the town survey. There were two groups which came to the Sanford area. One settlement was from Tennessee and the other from Utah. The settlement from Utah had come west and settled years before but due to persecution of their religion, they moved to the area of Sanford. The settlement from Tennessee also came to the Sanford area. Neither of the settlements really cared for the other but through time began to intermingle because the settlement from Tennessee didn’t really know how to farm and the Utah settlement helped them with this. When the first settlers came to the Sanford area there were still Ute Indians in the area. Lynette talked about her great grandmother giving bread to the Ute Indians when they would come to her back door. There is an old log cabin which sits to the east of the Sanford Museum. Lynette explained that this log cabin is the oldest house in Sanford. In time they want to renovate the log cabin and add an outside area with antique farm equipment. Oh course, that takes time, money, and man power. 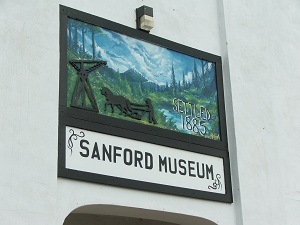 While in the San Luis Valley exploring the other museums, I encourage you to take time to see the Sanford Museum. We were very impressed.